When your little one moves away from breastfeeding or formula, it can be an exciting time for the both of you. Your child will love tasting new foods. Their expressions will be priceless when they taste something so new and unique that they have never tasted before. However, mealtime can be very frustrated as well. Every parent will agree they have experienced one time where their little one would just not eat. The kids would even just refuse their favorite foods. It can be discouraging to see your little one struggle and you might feel like you might be doing something wrong. Don’t worry, you aren’t failing as a mom, dad, or parent. Sometimes the answer is simply being patient and realize your child can be picky. Switching the way you feed your child can be the answer you have been looking for. So here are a few tips to help you get through those hard long days of trying to feed your kids! Your child is never young enough to be given the opportunity to make their own choice. It’s a simple way also to give your child independence. For instance, placing several different foods on their plate or tray is a good start. These foods can have unique colors, textures, and different tastes. This helps your little one try something new and you might discover what he or she likes best. You can then start buying and feeding them similar foods. You are your kid’s first role model. They are watching and mimicking what you do—trying to learn about the world around them. Try eating your meals together with the family. 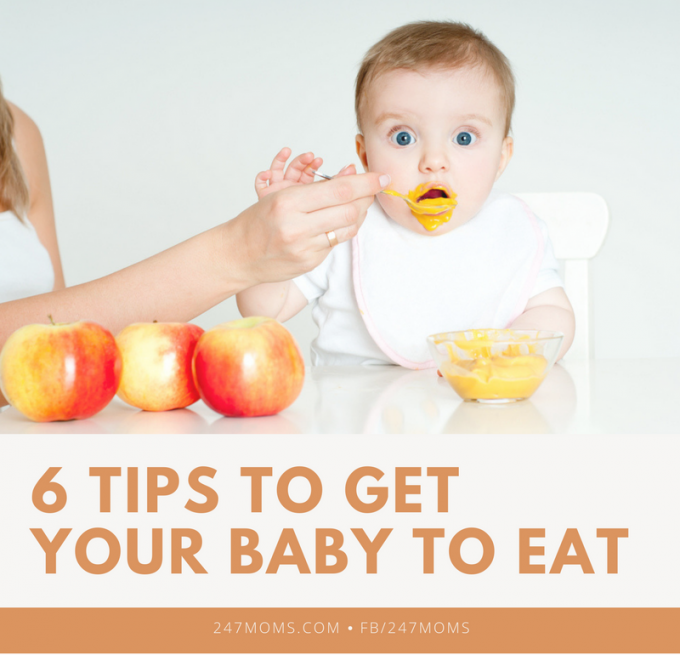 This will also help bonding with your baby, and they will watch you enjoy your meal and make your baby more willing to eat his or her own. Making mealtime a fun event can be positive for both you and your baby. Smiling and laughing can encourage your little one to be more willing to eat. Babies love the classic “flying” spoon with airplane noises or the “choo choo” train too! Your child loves consistency, so if you have been trying a lot of new flavorful foods lately him or her might be feeling a little overwhelmed. Make sure you serve them a couple of their favorite healthy meals. Try new foods in between their favorite foods during mealtime and him or her just might be more willing to find something new they like. You might become frustrated but try your best not to give into the tantrums. It is best to pretend everything is fine. Of course it will be hard, but keeping mealtimes positive and not into a power struggle will raise a healthy eater. Don’t threaten or bargain with him or her. Continue to have a smile on your face and introducing the food to your child like nothing is going on. Your child will eventually calm down and everything will be okay!